It looks like the rap collabo we have all been yearning for is on the cards. 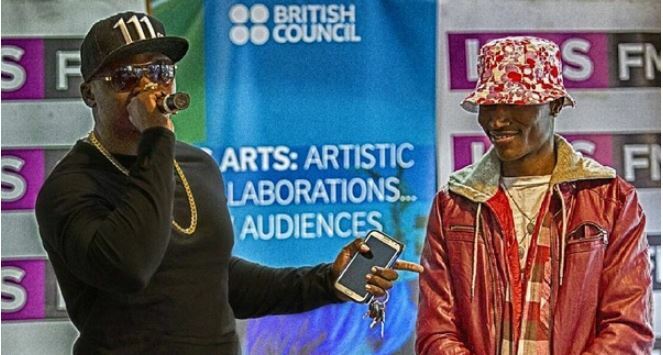 High-flying Kenyan rappers Octopizzo and Khaligraph have both indicated a desire to work with each other despite their perceived long-standing rap rivalry. It started with Khaligraph Jones, who opened the doors to a potential collab with Octo last October after scooping the Afrimma award for Best Rap Artiste in Africa. “Before this (winning Afrimma), I used to think differently. I am not the same anymore. I can do a collabo with anybody…anybody,” he responded when asked if he was ready to work with the ‘Kibera Namba Nane’ rapper. And now, albeit several months later, Octopizzo has extended an olive branch to Khali. In a recent interview with Mzazi Tuva, Octo talked about his relationship with Khali noting that they last talked about two years ago. “The last time I spoke to Khaligraph Jones was 2 years ago. I, however, regularly keep in touch with King Kaka and Sauti So’s Polycarp because they are real people. During our conversations, rarely do we speak about music. Most of the time, our chats revolve around the state of Kenya, family – our spouses and children,” said Octo. Asked if he would work with Khali, Octo said yes but on one condition; he has to make good money from the collabo. “I am ready to work with any artiste so long as I am making money from such arrangements. I won’t work with an artiste for the sake of it, for the sake of hype, or for the sake of giving in to pressure from certain quarters. I would work with a musician because I am passionate about the project we’re pursuing. Here’s to hoping it happens this year.